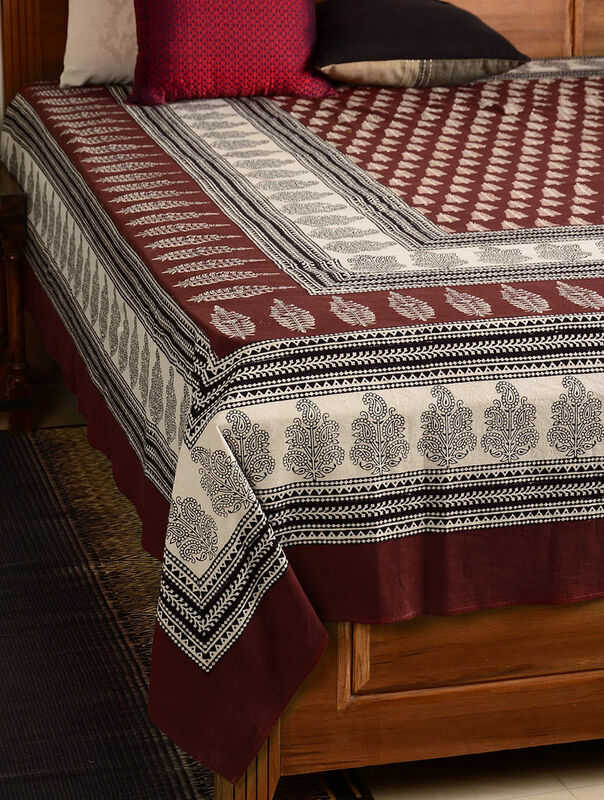 This exquisite bed cover has been crafted in Bagh located in the Dhar district of Madhya Pradesh using vegetable and natural dyes. Block printing in Bagh was closely linked with the garment traditions of the Bhil and Bhilala tribes of Jhabua and Dhar. Bagh prints are characterized by geometrical patterns of floral motifs done on black, blue and red colour grounds. This product is hand-painted using natural dyes and there might be slight irregularities. These add to the unique charm of this exquisite piece.